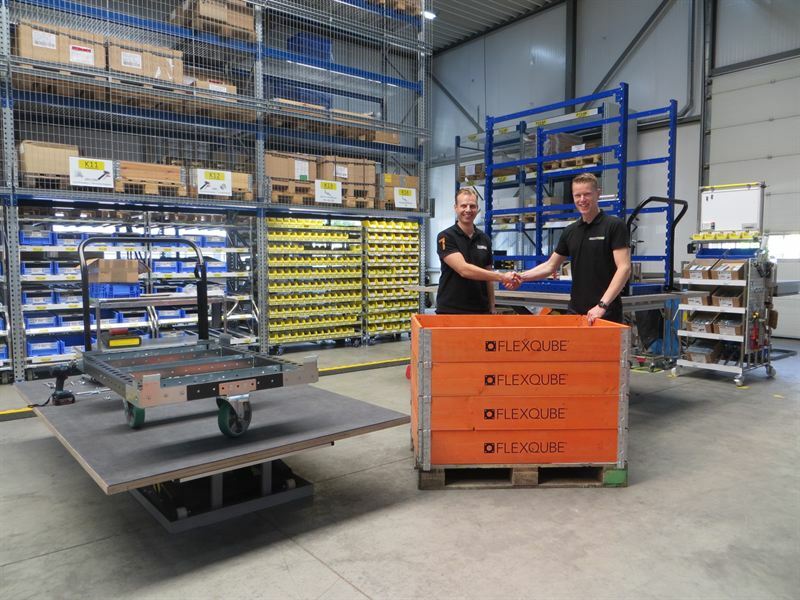 The two companies will focus on growing the FlexQube market share in the Netherlands and Belgium. Anders Fogelberg, CEO of FlexQube, comments: “Multitube has shown great ability to penetrate this market with tube- and joint based material handling applications in the same customer segments FlexQube target in other markets. With the partnership, Multitube will present and demonstrate both the FlexQube as a standalone concept for industrial carts as well as integration opportunities in combined FlexQube and Multitube designs to both existing and new customers. Multitube has demonstrated a great ability to deliver growth and their company culture is similar to the one of FlexQube with a young and curious mindset, aimed at creating the highest customer value among the competition. We really look forward to work with Multitube." Multitube Engineering B.V. is a Dutch company founded in 2010. The company supplies a wide range of tube- and joint components, known as the Multitube construction system. With the modular system Multitube provides their customers with custom made solutions such as flow-racks, work-stations and carts for light- and medium weight purposes. The company’s manufacturing and warehouse facility is located in the south of the Netherlands between Belgium and Germany. FlexQube is the world’s largest supplier of a modular concept to make industrial material handling carts that can replace welded solutions. The company has manufacturing facilities in Sweden and the USA and distribution in North America and Europe.